The latest trolling example in the AFLW – and in sport in general – has struck Tayla Harris. A remarkable photograph of Tayla showing her athletic kicking style was posted by Chanel 7 on the AFL Twitter account. Her leg extension reminded me of the photo of Tony Locket kicking the point that put the Swans into the grand final years ago. Tayla who plays for the Carlton Blues AFLW team was shown kicking a goal against the Western Bulldogs from 45 metres. That in itself was a fantastic achievement and the best advertisement for the AFLW which has taken some criticism this year. But what happened was that the posting unleashed a lot of nasty, demeaning and sexist comments which so upset everyone that channel 7 deleted the post. This was a mistake and made it appear that Tayla had done something wrong. It also created another interest group screaming at Channel 7. Talk about from the frying pan into the fire!. 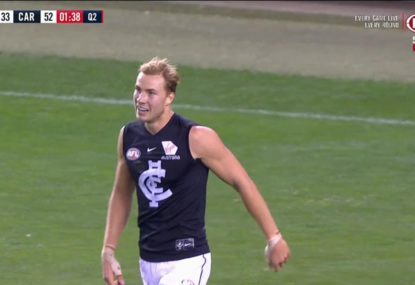 Channel Seven – in an attempt to defuse the controversy – then backflipped and put it back online. Any sensible, normal soul would look at the photo and say “Wow! What an athlete!” But these people are not sensible and normal. They are scum and deserve not to have their horrible comments published. It is usually hard to identify them without a lot of forensic research and when there are located it may be difficult to pin a crime on them because trolling is a newish disturbing internet trend. The law does not punish comments that say mean things only those that incite violence, racism, anti-religious comments and other noxious acts. What to do to stop this? I say that the law should be changed and that the providers – i.e. Facebook, Twitter, Instagram etc – be fined for posting mean, anti social and sexist comments. This will mean that they have to install the appropriate filters. Facebook will identify and not publish the offensive troll comment, withdraw it and notify the troll that if they insist on publishing the post they must show cause why it should not be published. The provider then has the final decision. I can foresee that this will seriously limit the open slather that the trolls currently have and will attract another horde of free-speechers bemoaning the restriction. I reckon it is worth it. What a way to do it! 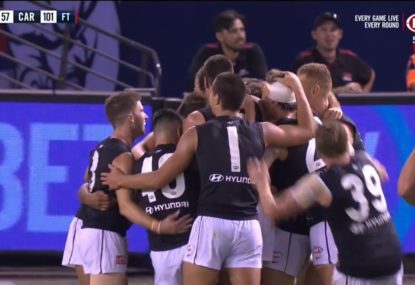 Harry McKay is an excitement machine! He let him know all about it! 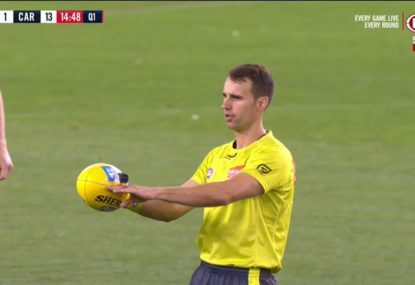 Sound the alarm - the mandatory goal review actually worked! What a time to be alive. 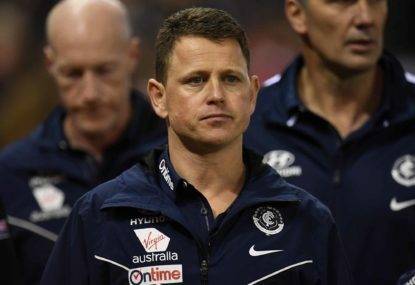 A month into the home-and-away season and the ladder is not pretty reading, but it’s a familiar sight for Carlton fans. 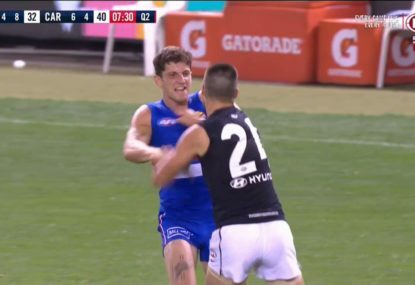 Should Carlton axe Brendon Bolton? 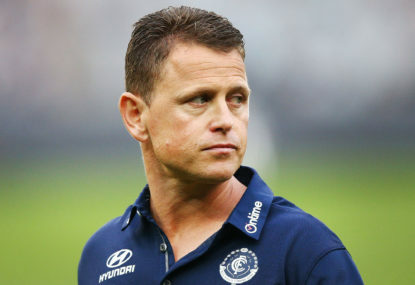 Carlton senior coach Brendon Bolton is under increasing scrutiny after his side fell agonisingly short against Gold Coast on the weekend to make it four losses on the trot to start the 2019 AFL season.